What has happened to summer 2012? Or even spring 2012? No sign of it yet apart from a week or so ages ago. We are not ones to be put off by bad weather, so it’s off to North Yorkshire for a two night stay at the CC site near Hawes. We came here last year, so we knew it was a good site – as is usually the case with the Caravan Club. It’s only a short stroll into Hawes, which has a few reasonable pubs, and a slightly longer stroll the other way to Hardraw, which has the Green Dragon Inn. We drove around the site a bit before settling for a pitch at the top of the site. By the time we realised how bad the left to right slope was, we had unhitched and it was too late to move. 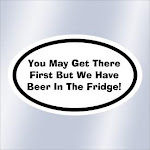 We got used to it after a while – one trip early in our caravanning days took us to a site that was so sloping the fridge wouldn’t work! When we came here last year we couldn’t get any DAB stations on the radio but this time, armed with a new DAB dipole aerial, we got quite a few, including Absolute 80s and 6 Music…D likes one and J the other…guess which! Had a go at fixing the broken awning pole and it probably would have been okay, but we couldn’t be bothered putting it up for two nights. Q. What do you call a woman with one leg longer than the other? Q. What do you call a Chinese woman with one leg longer than the other? 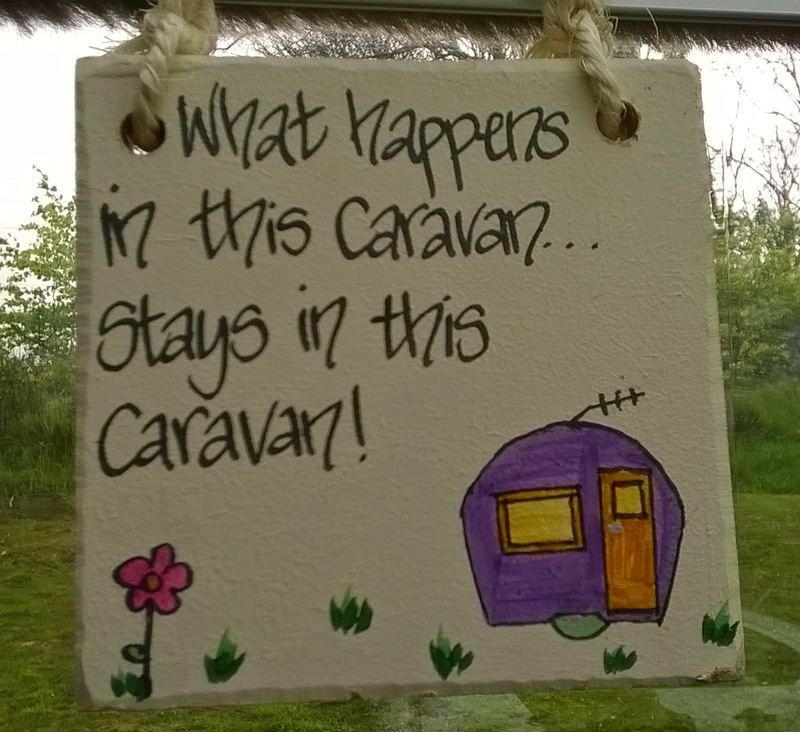 Spent the rest of the evening in the caravan listening to the radio, the wind and the rain! Weather a bit better, so we set off for Muker and walked from there to Keld and back by a different route. About 6.5 miles, no real summits. We had noted down co-ordinates for a geo-cache, but forgot them. From memory, D got them from the OS map but then one of us (!) entered them incorrectly into the GPS, so we missed it. No problem, we were coming back this way so would get it on the way back. Grey skies = rubbish pics = no gallery this week. Here are a couple of pics that give you an idea of the scenery. A pleasant walk, despite the grey skies. Had another look for the cache on the way back, and although we narrowed it down to a clump of holly bushes we just couldn’t find it. The fact it was inside said prickly bush, put us off looking too hard! Stopped off in Hawes on the way back and had a look in a second hand book shop. A great find for D…“Narrowboat Dreams” by Steve Haywood, which would be the subject of another blog if D has his way…and wins the lottery! Off to the Green Dragon, Hardraw, after dinner in the caravan. Just over a mile away, this is one of our favourite pubs from last year. It was acoustic night, but we couldn’t squeeze into the room where that was happening. Instead we settled for a quiet corner at the back of the pub where we could still hear the music. It was very folksy. We really like this pub, it has loads of character, log fires, a good selection of local beers. And a huge, fluffy cat curled up on the bar. No TV, no music apart from the live stuff…perfect. Weather much better today…it always is when we are leaving! Left early so that J could listen to all of the Archers on the way home. Very uneventful journey, and just over 2 hours back to the storage facility. Nothing booked until a three night stay at the C&CC site in Ravenglass in the middle of June. We might try somewhere close to home before then if we can find anywhere that isn’t fully booked. Even the sites that never get full are fully booked around the jubilee bank holidays!